A diesel pusher motorhome offers many benefits over a class A gas motorhome. With more power, a smoother ride and upgraded interior features, class A diesel RVs are the next step up in driveable RV luxury. 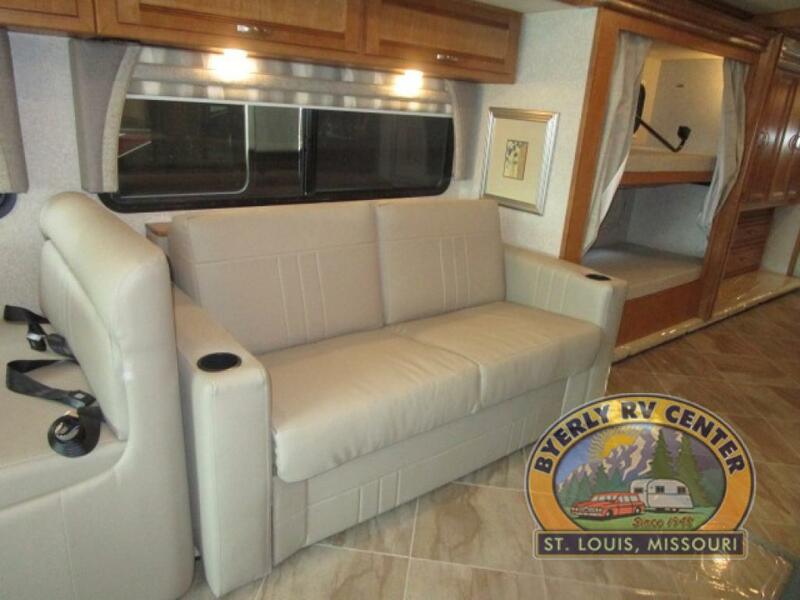 If you are ready to take your RV travel experience to the next level, the sophisticated yet affordable Winnebago Forza for Sale At Byerly RV is an excellent choice. In this Winnebago Forza review, we will take a look at what sets this top quality motorhome apart from the rest. The Winnebago Forza is packed with distinguished interior features such as Primera® cab seats and furniture, Corian® galley countertops, and a residential refrigerator. The 340 Hp Cummins diesel engine with the Allison six-speed automatic transmission sits atop a Freightliner XCS chassis for a powerfully smooth ride. The Forza is a perfect diesel motorhome for families and RVers traveling with a large group of campers. 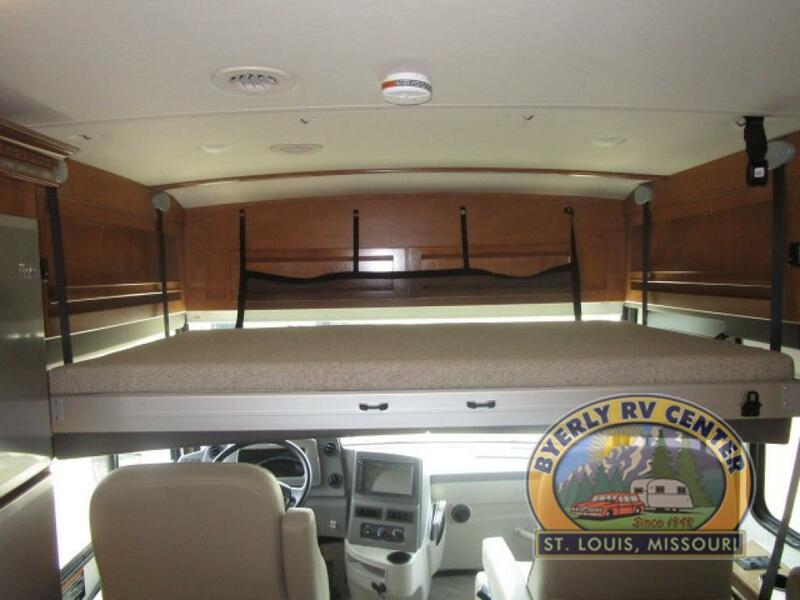 Models such as the Forza 38W floorplan has an over cab drop down bunk, bunk beds and can comfortably sleep up to 9. The bath and a half layout is a big plus for family camping convenience. For the ultimate couple’s friendly floorplan, the Forza 34T has everything you need for spacious, extended living comfort. 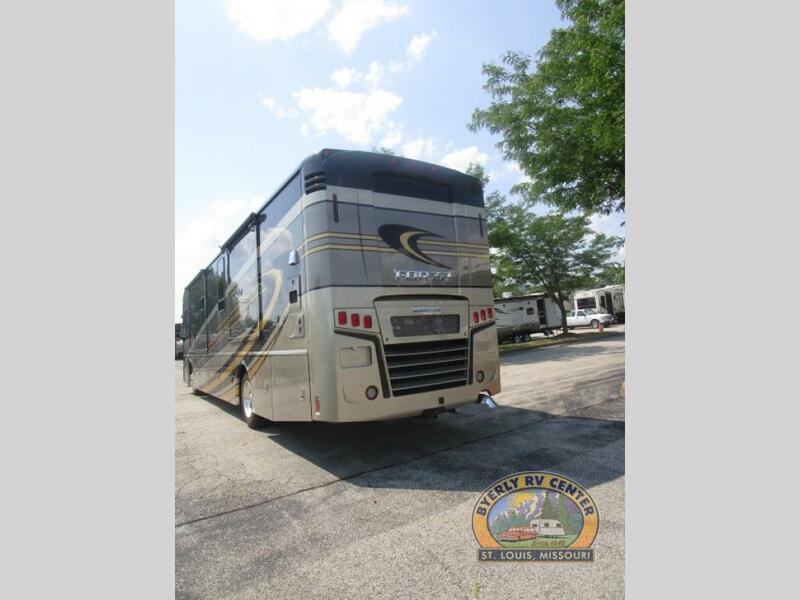 This 35′ 9″ long coach has a booth dinette, fold out sofa, swivel captain and passenger seats, L-shaped kitchen, washer/dryer, and a huge amount of bedroom wardrobe storage. Despite the long list of high end features, the Winnebago Forza is available at a value driven price point. This makes it easy to take the leap into the class A diesel motorhome market. 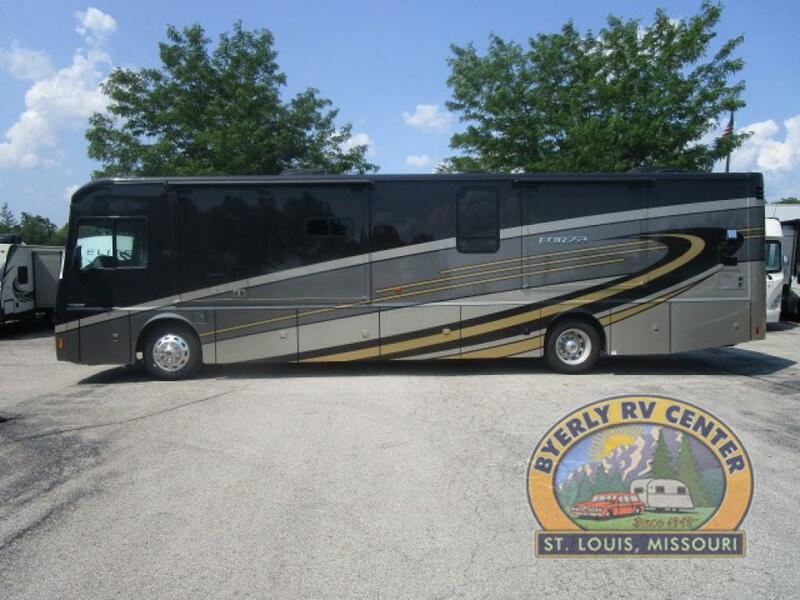 Luxury RV ownership has never been easier! 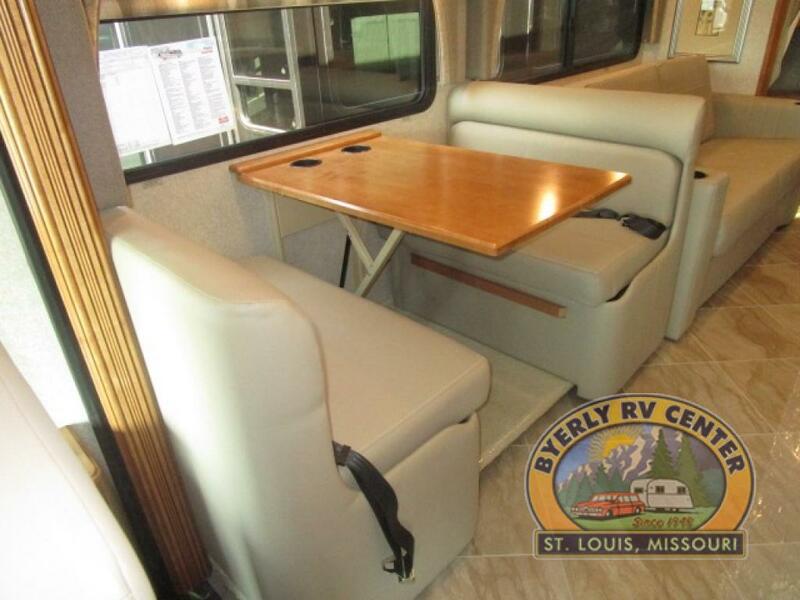 For a personal tour or to take a test drive of one of our Winnebago Forza Models in stock, Contact Us at Byerly RV or visit our RV Dealership Location in St. Louis, MO. This diesel pusher motorhome is a real head turner and a must see! Join Us For Our Extended Show Pricing Sale! 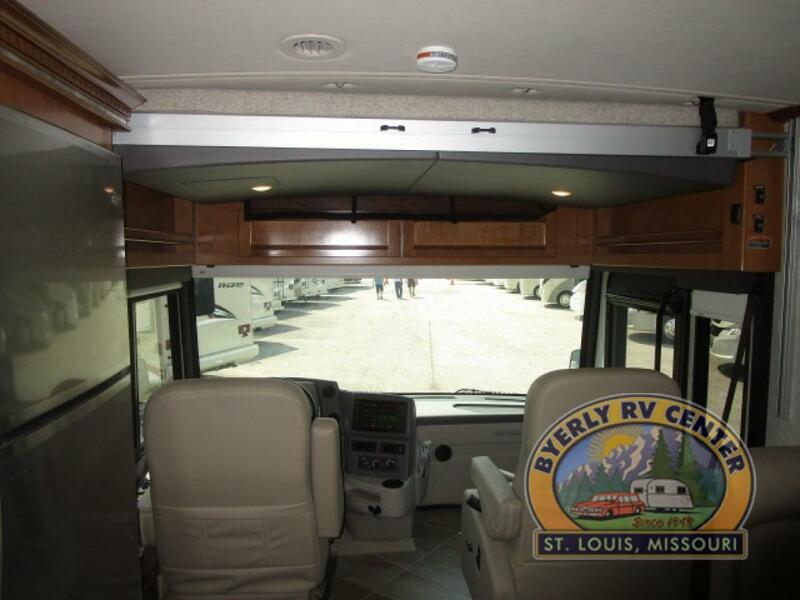 Byerly RV Expo: Save Big on Big Names!! !